Navy has deployed a helicopter for the search operations. 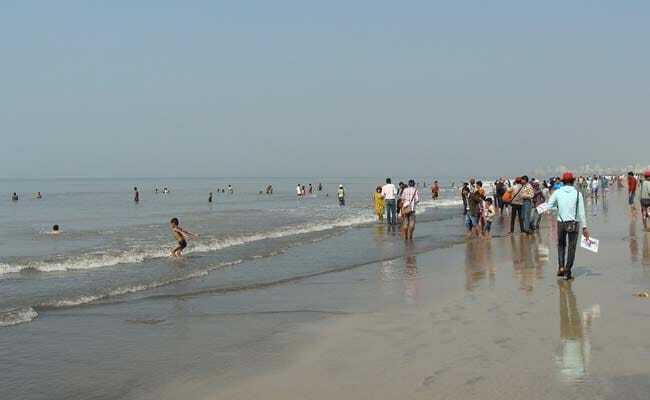 Four people are feared to have drowned off the Juhu beach here after a group of five ventured into the sea for a swim today evening, police said. "The sea was rough and there was high tide when they ventured into the sea for a swim at around 5:30pm." Deputy Commissioner of Police, Zone IX, Paramjit Singh Dahiya said. One of them, Wasim Khan (22), has been rescued, while the search for the other four persons was underway, he said, adding that helicopters had also been deployed as part of the efforts. A communication from the Navy informed that it had deployed its SeaKing 42C helicopters, and divers, for the rescue. The Navy statement added that the Coast Guard would join the search operation from tomorrow morning. Those feared drowned have been identified as Fardeen Saudagar (17), Sohail Khan (17), Faisal Sheikh (17) and Nazeer Gazi (22), police said. The five were residents of DN Nagar area in suburban Andheri, police said.